Eating is one of the most enjoyable daily experiences people share. 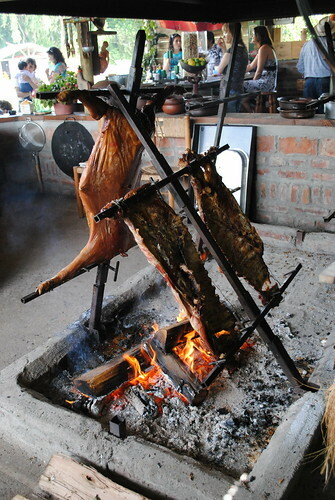 The satisfaction of satiating hunger, the nourishment derived from food, the aromatic stimulation of taste buds, the visual appeal of colorful edibles, and also, the cultural aspects of eating including how it is shared, its preparation and how different flavors are combined, make up the culinary world, which many consider an art. This week, the city celebrates its gastronomic expressions with a variety of events, promotions and tasty bites. Below are some recommended activities. Chef Soledad Nardeli from Chila will dictate a free cooking class at 6pm at Aguero and Libertador in Recoleta. Also in Recoleta at 6.30 Pm in traditional café La Biela, Haroldo Darnauchans, will be speaking about the history of coffee. Tour the city’s pizzerias and try your favorite slices at the very best venues in town. More information on the participating pizzerias here. Pura Tierra’s chef , Martín Molteni , will dictate a free cooking class at 6pm at Parque Centenario. Bartender Inés de los Santos will present her new book on cocktails at 7pm at Café Restó Los Pastizales. (check out her book on Buenos Aires Bars, available at the hotel library). Chef Patissier Osvaldo Gross, who is also releasing a book on chocolate, will dictate a free cooking class at 6pm at Plaza Gral. Manuel Belgrano. Take advantage of the special 2×1 on cocktails and drinks in Franks Bar and Chez Nous from 6pm onwards or on a 5óclock tea at the traditional Confiteria La Ideal (from 4pm-7pm). More information on Buenos Aires Gastronomic Week here. This entry was posted in Buenos Aires Agenda, Food & Drink and tagged Agenda, buenos aires,, Cafes, cooking lessons, Culinary Arts, Food, gastronomic week, Pizza, restaurants, what to do by Fierro Hotel Staff. Bookmark the permalink.